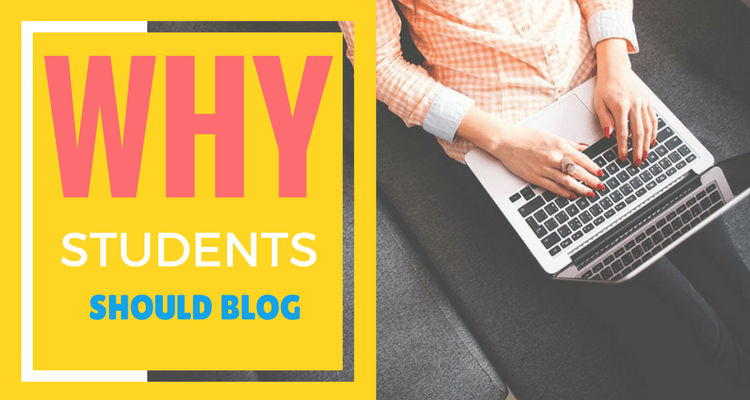 Blogging can be a great way to help students develop their writing skills while at the same time helping online communities get the information that they need. Blogging is one way to share your experience and expertise to online readers worldwide. Here are some of the reasons why you should start blogging if you haven’t already. f you are a student who is always tired of sending your resume out to hundreds of potential employers, put your resume on your website instead and see the magic happens. It is pretty common to see students put their resume on their website nowadays. If you are concerned with a privacy issue, you can leave out the detail information. You can also link your profile to LinkedIn profile if you don’t want to put your resume on your website. You may need to separate between the blog and the profile to make it easier for the readers to navigate. When the employers want to know a candidate better, they tend to look into the person’s profile on the internet. The employer may judge you by the impression you give online. So it is good to write useful things on your blog to give the right impression. You don’t need to be a good writer to start blogging. Being a good writer is all about practicing. You can start with writing two blog posts in a month and work your way up to writing a blog post weekly. Writing a blog can be a good way to spend your weekend. The more you write, the more you improve your writing skills. Blogging is a way to develop a writing habit. You will write even better and smarter once you get into the writing habit. It is easier to become a media consumer than a media contributor. But being a contributor to online communities is something more. You give your opinions and expertise to help online readers find their answers. Blogging can be your way to become a bigger part of the online communities. It’s like giving back what you have received. What you may not know that you can actually make money from blogging. Although it may depend on the blog popularity, there is no guilt to try it out. You can always earn money later when you gain more traffics for your blog. A budget may become another issue for students. Creating a blog can cost a lot of money starting from buying a domain to hosting the domain itself which is difficult to do if you are on a student budget. You can always start with creating a blog on blogger.com for free. Alternatively, you can create and host your blog on Github Pages for free. Github Education also offers free student developer pack for students so you may want to check that out. You can always move your blog to a hosting company later once you get a lot of traffics or when you have enough budget. Don’t forget to buy a custom domain too. You can buy a custom domain for less than 20 bucks to make it look better for your online presence. One thing about writing a blog is that you can keep everything in a place you can easily access. While opinion and ideas can change over time, blogging can be a great way of documenting your opinions and ideas that you can keep in one place. You can always access it anytime and anywhere. It also helps you to learn from the past that will allow you to improve in the future. Blogging is not only a way to share your knowledge and opinion but also a way to connect with other bloggers. You learn and interact with them. It is a great opportunity to expand your networks and to create professional relationships.